Carnegie Mellon University researchers have developed a synthetic molecule that can recognize and bind to double-stranded DNA or RNA under normal physiological conditions. The molecule could provide a new platform for developing methods for the diagnosis and treatment of genetic conditions. Their findings were published online on November 7, 2018 in Communications Chemistry, a new Nature journal. The open-access article is titled “Shape Selective Bifacial Recognition of Double Helical DNA.” The work was carried out by an international team of experts, including Carnegie Mellon Professor of Chemistry Danith Ly, PhD, an expert in peptide nucleic acid (PNA) design; Chemistry postdoc Shivaji Thadke, PhD; and Chemistry graduate student Dinithi Perera; Chemistry Professor and Director of Carnegie Mellon’s nuclear magnetic resonance (NMR) Facility Roberto Gil, PhD, and Arnab Mukherjee, PhD, a computer scientist at The Indian Institute of Science Education and Research at Pune. "Since the double-helical structure of DNA was first elucidated by Watson and Crick, scientists have been trying to design molecules that can bind to DNA and allow one to control the flow of genetic information," said Dr. Ly. "This is the first bifacial molecule that can invade double-stranded DNA or RNA under biologically relevant conditions." DNA, which contains all of an organism's genetic information, is made up of two strands of nucleotides. The nucleotides connect with each other using hydrogen bonds, forming a helical chain of Watson-Crick base pairs. While these base pairs provide a relatively simple code to our genetic information, getting into the double helix to change the code is difficult due to the strong bonds between the base-pairs. 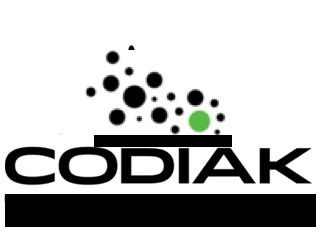 On November 6, 2018, Codiak BioSciences, Inc., a leading exosome therapeutics company, announced results from preclinical studies demonstrating the potential of Codiak's proprietary engineered exosome therapeutic, exoSTING. exoSTING is composed of precision engineered exosomes loaded with a potent small molecule STING (stimulator of interferon genes) agonist. The precision engineering of exoSTING provides for selective, preferential STING delivery to antigen presenting cells (APCs). In these preclinical studies, exoSTING generated potent, targeted, and sustained antitumor immunity - including in metastatic tumors - without systemic elevation of toxic cytokines. These data were presented on Saturday, November 10th at the 33rd Annual Meeting of the Society for Immunotherapy of Cancer (SITC) (https://www.sitcancer.org/events/event-description?CalendarEventKey=a48f...) in Washington, DC, in a poster entitled, "Selective Delivery of Exosome-Mediated STING Agonist to Antigen Presenting Cells Results in Significantly Improved Potency and Reduced Toxicity" (#P618 ). "These studies highlight the unique profile of exoSTING to selectively activate the STING pathway in tumor-resident APCs, without toxic systemic cytokine elevation," said Douglas Williams, PhD, President and CEO of Codiak. "The potent T cell-mediated antitumor immune responses elicited with very low doses of STING agonists are the result of the rational drug design of exoSTING created using our proprietary exosome engineering platform, engEX™. In contrast with free STING agonists, exoSTING is highly potent, is not compromised by systemic cytokine production, and preserves the viability of T cells and antigen presenting cells, thereby markedly improving the therapeutic window. Researchers at The University of Texas at Arlington (UTA) have found a potential new pathway to regulate immune response and potentially control inflammatory diseases of the central nervous system such as meningitis and sepsis. "We need to know what turns on inflammatory response to bacterial infection to be able to modulate the process," said Subhrangsu Mandal, PhD, the UTA Associate Professor of Chemistry who led the research. "If we can do so, we can control inflammatory diseases of the central nervous system that have been hard to treat up to now, such as sepsis and meningitis, as well as cancer and muscular dystrophy, which can also be seen a kind of inflammation," he added. The research findings of Dr. Mandal’s team were published online on October 23, 2018 in Scientific Reports. The open-access article is titled “LncRNA HOTAIR Regulates Lipopolysaccharide-Induced Cytokine Expression and Inflammatory Response in Macrophages.” The researchers have found that the long non-coding RNA (lncRNA) molecule HOTAIR present in white blood cells has the capacity to signal these cells to activate immune response in the presence of bacteria. RNA is present in all living cells. Its primary role is to carry instructions from DNA. "Knowing that HOTAIR has a role in the signaling pathway also means that we can use it as a biomarker for bacterial infection," Dr. Mandal added.